During December I will sprinkle throughout the month a few posts regarding key lessons learned for the past year. I’ll kick off the lessons with this post on the subject of rest. I have noticed both my body and mind yearning for more rest than I’ve given them this year. Even though I have intentionally worked at sleeping at least six hours per night, I know that isn’t enough. It may be more than any recent year in memory when the average was closer to five hours, but if I listen to what the ol’ bod is saying, I have to conclude that somewhere between 7-8 hours per night is what I need these days. That will be reflected in the goals I set for 2014. Besides sleeping, though, I need more unscheduled down time than I’ve given myself. It’s nice to have ambitious goals at work and outside of work and feel the accomplishment their achievement brings. However, there are too many days when I grow weary of a self-imposed task list that would require me to keep going late into the evening and throughout the weekends if I really did everything on the list. I need time to chill, relax, do something fun and spontaneous or just veg in front of the TV or play with my dog for a while. Doing so rests not only the body but the mind, and rejuvenates the spirit. It contributes to overall well-being in a way that constant activity cannot. I’ve long had feelings of guilt if I relax too much, so changing that will be an adjustment for me. I’ll really have to battle guilt when I reduce the goals and tasks in 2014 and intentionally increase the hours of sleep and unscheduled fun and relaxation, but I must overcome that in the long-term interest of better health – physical, mental and spiritual. The title of this post may include the phrase “lesson learned,” but it remains to be seen whether I’ve really learned it or not. I know it, but I will only prove that I’ve learned it and care about it when I change the behavior. Since I do care about my wellness, I believe I’ll do better in 2014, but I have to quantify what that looks like in goals and then make sure I do it. One more hour of sleep and one less hour of structured evening tasks daily equals 14 hours per week of less activity than what I’m doing now. That has to come from somewhere, so the challenge will be in deciding what goes away. Fortunately, I have the rest of the month to ponder that before deciding the 2014 details. As an educator for most of my life, I’m grateful for lessons learned – even those learned the hard way. So the first big lesson that stands out to me from this year’s experience is this: I need more rest. My work colleagues and family are very accustomed to me giving too much time to work during my supposed vacations. If, for example, I take a week “off” from work, I usually end up working 2-3 of those days anyway. It’s usually by choice that I do so because I love what I do. Therefore, I gravitate to it in my time off because it’s enjoyable. But with normal work weeks being 50-55 hours and normal vacation weeks only being half vacation, I thought it was way overdue that I force myself to take some time off, not succumbing to the temptation to check voice mail or email or the internal social network I manage. I did end up working a total of about one hour over the past eight days, but that was to go purchase some items I need when I return tomorrow and to check up once on ongoing technical issues related to the internal social network. I needed to know what I would be facing when I returned Monday and whether the issue had been resolved in order to know what I might need to do quickly my first day back. Given my past history, I count working only one hour over the past eight days as a roaring success! So much so, in fact, that I think I’ll schedule another one in September and perhaps monthly until I’ve used up a lot of my accumulated days off. What did I do instead of work this week? I stayed home, mostly. I read a lot in support of some of my personal goals for the year where I had been lagging seriously behind. My wife and I took our granddaughter to the zoo one day. I went to the state fair with my parents. I took my dog for far more walks than usual and threw the Frisbee with her more times than I can count. I got a few other errands done that had been hanging over my head for a while. I wrote more blog posts than in a normal week. I made sure I got in many more steps on my pedometer than usual, averaging close to 30,000/day for the week. I took more naps. I slept when I wanted and got up when I wanted. “Staycations” at home may well be my favorite vacations of all. I set the agenda and the time frame and go about my days as I see fit. I did not disconnect electronically during the week, however, nor did I intend to. I checked Facebook as I usually do for personal content. I checked Twitter and posted to it, although I only checked it rarely since most incoming posts are work related. Whereas I might normally spend two hours an evening on Twitter catching up for the day, this week I scanned it during commercials of a single 30- or 60-minute TV show and let most of it slide on by unread. I still checked on my blog’s activity, promoted my recent blog posts across multiple social networks, and kept up with personal email. Technology and vacations can go together just fine as long as the use is personal and not work related. “So what?” you may ask. Why make a fuss over doing something that most of the world has no problem doing when they go on vacation? For me, it’s a pretty big deal because it represents a milestone in my ten-year history at my current company. I honestly don’t think I’ve disconnected from work that completely for a solid week in the past ten years – not during traveling vacations with my wife, not even during an eight-day trip to China last year. So this shows me that it is possible and that the world won’t end if I do so. I have no idea how many emails, social network messages and voice mail messages will be waiting for me tomorrow, but I’ll deal with it and gradually dig out from under them over the next week or two. Even for those who love their work, it is refreshing and helpful to walk away from it from time to time. There is value is refusing to let yourself get sucked in to emails or issues that easily and quickly consume more time than you intended to give. There is a sense in which I can go back with fresh eyes and enthusiasm and dive back in, ready to tackle what lies ahead. Now that I’ve done it once, I’m looking forward to doing it again. Soon. 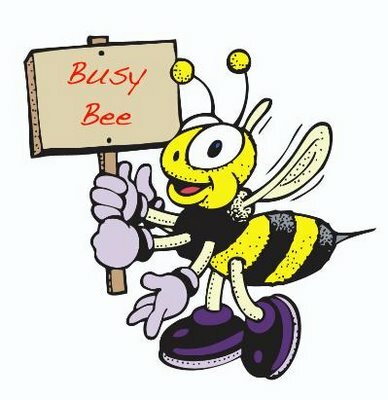 When Does Busy Become Too Busy? The title of this post really is a question to you, the reader. I want to know what your criteria are for knowing when you cross that line from just being busy to being too busy? When does living an active, fulfilling life morph into having so many commitments and expectations that you begin to wonder if you are in an unhealthy zone? As you might suspect, since I’m pondering the question myself, I am not quite sure where I am on that continuum at the moment. I set a number of goals for the year that I blogged about on January 1. So far, they are going well and I am enjoying the attempt at well-rounded goals categorized into areas of body, mind and spirit. Where it gets a little old, though, is when I find myself on a Sunday night (like right now) wishing I could just veg in front of a TV for a while and relax, but I have a number of things I still want to cross off my list before going to bed and starting another work week tomorrow. Does that mean I set too many goals, or am I just battling with a desire to be lazy? I’m not sure. Part of what drives me to try to accomplish a lot is a sense of purpose. I don’t think I was put on this earth just to enjoy myself. I can do more than that in making a difference for others, so it seems reasonable that my time – both at work and personally – should be given to that cause and not just for selfish pursuits. Scientists tell us we use a small fraction of our brain capacity. I also think we tend to use far less of our productivity potential than possible by thinking, for example, that work should be 40 hours per week and the rest is “free time” to do as we please. Of course, parents with children at home know the “free time” concept in theory only, but now that it’s just my wife, my dog and me in our home, we have many more options in how we spend our time. In my lazier or more physically tired moments, I want to spend time doing something rather mindless that isn’t on a to-do list. I want to find a book to read for pleasure or take a nap or play with the dog or channel surf for a show or movie to watch without the guilt that usually accompanies such leisure activity. I would love to spend time occasionally doing things just because I enjoy them and not because they are on a checklist. Today, for example, I decided to stay home from church this morning (a once or twice a year rarity) and sleep later than normal, then catch up on some reading. The reading was on my to-do list, though, and since getting up at the very late hour of 9:15, I’ve been busy tackling to-do list items ever since. I still have reading about half of a new book, finishing out 10,000 pedometer steps for the day, plus another couple of items on the list – actions that would take me more hours combined than there are remaining tonight if I am to get a decent amount of sleep. That’s discouraging. So, back to my question to you, dear reader. What is your criteria for knowing you are on the healthy side of the busy vs. too busy continuum? For me, I’m thinking the physical criteria are far too little sleep or the appearance of other negative physical side effects, and the emotional criterion is a sense of being overwhelmed and trapped, neither of which are true for me yet. What about you? How do you know you’re too busy? Tell me in a comment.